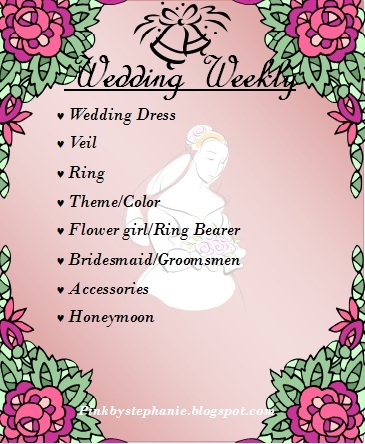 This week's challenge was to be inspired by my bridesmaids. 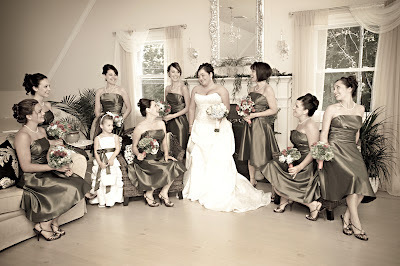 I love their dresses, obviously, I chose them! 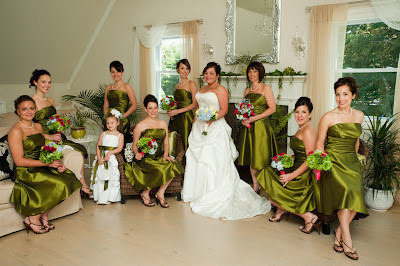 I was inspired by the color transitions of their green taffeta dresses. I love this polish! I used 1 coat of China Glaze Agro from the Hunger Games Collection. That's it! In the light its golden shimmer makes it look lighter and brighter. It shifts between a golden green and a deep olive. It is so beautiful I stopped right there. I was going to stamp over it with a lighter green, but I loved it as is and would probably only ruin it with my amateur stamping skills. If you enlarge the two photos above you can see the subtle holographic shimmer in this polish. It is really subtle on the nail, but I think that is what makes this polish so interesting. What do you think? Like? Love?